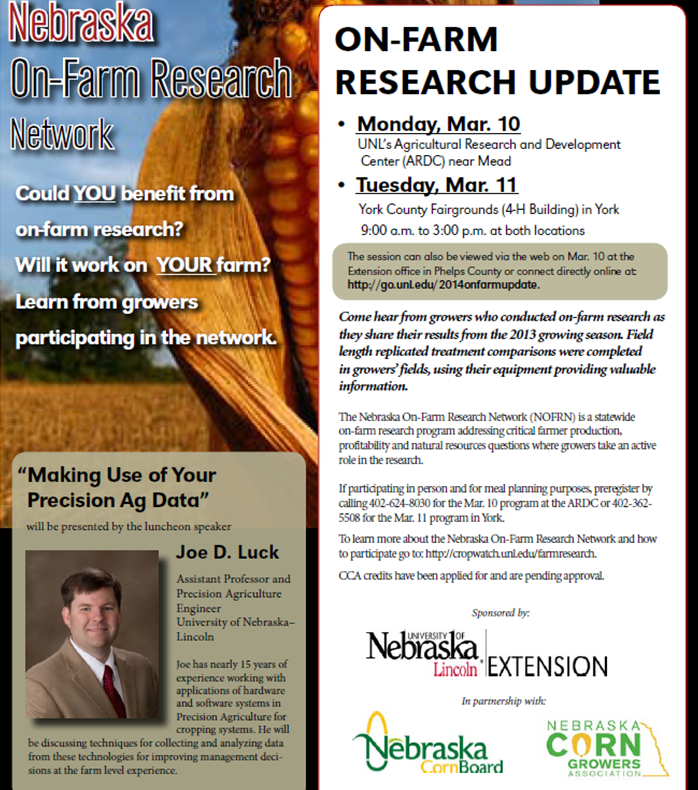 Posted on March 6, 2014, in Crop Updates, Event, Research and tagged Agriculture, corn, Crops, Extension, farm, farming, Nebraska, on-farm research, Plants, research, Science, Soybeans. Bookmark the permalink. Leave a comment.